Brazil turns out a huge amount of gorgeous young men who are readily picked up by major modeling agencies and clothing designers. 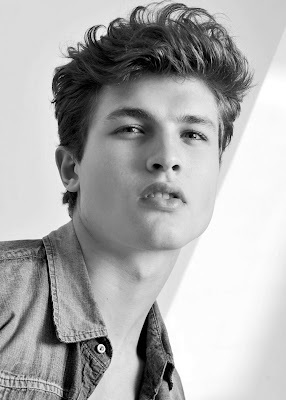 The group of Brazilian male models includes Fabricio Bach, who is reaching supermodel status. Fabricio started to gain a great deal of attention in 2010, when he won the winner of the Ford Supermodel Brazil contest. Ford is São PauloS is now his "mother" agency, but he is represented by major houses around the world -- check the model.com link below. I think Fabricio does not work hard staying in shape. His physique is very natural (well at least for Brazilians) and not overly developed. He seems almost Renaissance with his classically proportioned body and face.